I’ve ridden my bike to work a few times but want to try to do it more often this spring. Unfortunately, I’m one of those fair-weathered riders. And, I know I need to toughen up—at least a little. Lucky for me, I have some inspiration right around my own office. One of my friends rides her bike to work every day—rain or shine. And, believe me, in Portland, Oregon, it’s more often rain than shine. But, on top of that, she just told me about Trek Eco, it’s a sustainable biking company. They build and sell bikes that have been made out of recycled materials. Now, how cool is that? Not only is she doing her part by riding to work on her bike, but her bike is doing its part too by being earth-friendly from the start. People tell us to “Set realistic goals”. Goals shouldn’t be practical. Not at a time like this. This is the dawning of a new year, a new decade, perhaps even a new life. Today is the first day of the rest of your life. Start it right. Dare to dream, believe in yourself, try something new. Have faith. There’s no better time than NOW. We’re all standing on the edge, leaning over a precipice, take the leap, plunge headfirst into the New Year. Mom used to say, “If you have the faith of a mustard seed, you can move mountains”. I’m saying it doesn’t need to be a mountain you move, but at least start with a molehill. Change something, try something, dare something, become something. . .new. Isn’t that what the New Year brings to all of us. . .the chance to change? You can achieve something you’ve never done before. All it takes is opening, not closing, the door. . . to possibilities. So, start by setting some Resolutions or goals for yourself. Remember a goal is only an objective or stated intention. Even if you don't make it all the way, you'll get farther than if you never had any focus. Let's state our intentions or, a goal or two, maybe even ten. One piece of advice is to make goals specific and measurable: “I want to enter a cooking contest” rather than “I want to be a good cook." People need quantifiable results and I love to set goals so I can cross those little suckers off my never-ending bucket list. Okay, I just got my Kindle so I might not be an authority - yet - but I've learned a few things in a day or two and one is that Squidoo did a post that links some great books to fill up your empty 'cyber' bookshelf with. But, I've been checking out samples to see what I want to buy. Amazon lets you browse through books, just like at a bookstore, to see if you like the writer's style and the way the story is moving. I've checked out two books and looked through the first three chapters to see if I want to buy them. I'm probably going to be buying more books than I did before - just because of the convenience factor. But, I've also heard that I can "check out" books from my local library - on my Kindle. I haven't figured that one out- yet. But, like I said, I'm just getting started. One thing I did do, I uploaded one of my own manuscripts so I could work on it during my lunch hour. That was way cool and super simple to do. I just had to email the story to my "approved" email and then send it to my kindle email address. Within a minute, there it was. Waiting for me. Another thing I really like is how light the kindle is. I tend to read very late at night - or maybe I should say very early because it's usually after midnight when I crawl into bed to read. And, lots of times I fall asleep reading. The Kindle saves my spot - so no more re-reading pages to find my place the next night. I do have one gripe. I wish the screen was a touchscreen, just like my phone. But, I'm not complaining, or maybe only a little. Still, I think I'm going to love this. We all wanted to go rock wall climbing on Sunday, it was one of our "family gifts" from the holidays. So we climbed in the car(s) and headed toward the Portland Rock Wall Gym. Unfortunately, as soon as we arrived in the parking lot the person who was planning to belay for us suddenly got ill. He said he could still hold us, but I'm a Mom and didn't want to take any chances having someone "hold our lives in their hands" when those hands might be weakened by the flu-like symptoms we were witnessing. I wasn't so reassured. So it was a quick EZ decision: alternate event. Narnia and the Little Fockers. I laughed so hard at the Little Fockers my son even commented on the tears rolling down my cheeks. I told him, "Maybe you have to have in-laws to find it so funny". Not that I've ever been asked to take a lie-detector test...that I remember ;) of course I'm data dumping from my hard drive (or cerebrum and little neurons) all the time as I get older and older. Still, I had a great time. Then we went home to catch up on a little more movie-madness. We watched The Walking Dead on Demand. Nothing like a little zombiefied footage to help finish off your holiday festivities and the weekend. I enjoyed it-not so much my husband. He's not a zombie-kind-of-guy, unless it's Saturday morning and I haven't had my coffee yet--then he's totally hanging with the zombiettes. So, this weekend we'll be celebrating by ringing in the the New Year while we're making up our previously scheduled Rock Climbing. How 'bout you? Any special plans for the holiday? I got a Kindle for Christmas! I've been wanting one of these for a couple of years but, with two kids in college, I just couldn't justify the expense. Now I have one! Yipee! I've been playing with it. I've only gotten about 70% through the tutorial but, already it's much cooler than I thought. I had no idea it could cruise the net like it can. I'm enjoying the gift and I haven't even read any books on it -- yet. Presentation is everything. And it's amazing how the "devil is in the details". Just look out how a simple bow can do the trick when it comes to making a square box look beautiful. Take a peek at this present...ation. Isn't the package pretty? And, believe me, the picture doesn't do justice to the pretty, pretty perfect present. The silver paper acted like a mirror and reflected the light back when I tried to take the picture. But, I think you'll get the idea. Remember sometimes it's the small things that matter the most: a smile, a gentle touch, or even a kind word. So take a moment to add that final touch. You'll be glad you did. There will be much mistletoe-ing. And hearts will be glowing. When loved ones are near. It's the most wonderful time of the year. And what makes it wonderful is sharing time with family and friends. 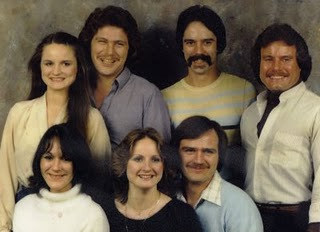 The holidays always make me think of family and this is one of the only pictures I have with my brothers and sisters all together, at least the seven of us all together. We had it taken for Mom and she was so happy. After all, she'd had nine kids and there aren't any pictures that exist with all of us. Maybe because Mom and Dad never owned a camera. Photos were few and far between. Any photos we had were always taken by friends or other family. So, this is a special picture. Anyway, I'm planning a party but it's hard to squeeze parties in at the holidays because it's a crowded calendar this time of year. as they rush to the store looking for "just one present" more. . . I hope you're having a fun-filled season. We like to make our own ornaments and always have. The first year we were married we painted ceramic ornaments and cross-stitched little patterns that we hung on our tree. It was meager as far as ornaments go but we used those ornaments for years. And, we still like to make our own decorations. This year we wanted to have a simple tree. It's a beautiful noble we got from my husband's brother's Christmas tree lot. So, it hardly needs any ornamentation. My husband took a simple snowflake and made it into our Christmas Tree Star by wrapping a little copper wire around it. I think it's beautiful. How 'bout you? Do you make any of your own ornaments? I've always wondered what the heck that song meant. I'd heard that each gift was supposed to represent something from the Christian faith so I thought I'd look into it. Still, I think it's a fun song. What do you think? Now, where the heck would I put seven swans a-swimming? In my bathtub? I think NOT. That present would be completely foul and totally for the birds because that is one, no, seven things I don't have room for. So, this gift would be a total fowl-fail. I definitely don't want anything I'd need to clean up after. After all, I already have three "kids" and my hubby to follow around after. What I really want is a kindle or a new laptop. Santa . . . are you listening? "Do you hear what I hear"? 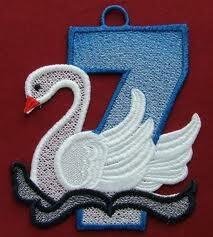 But, if you'd like to get an embroidered version of that seven swans a-swimming, you can find this patch on-line, check it out here. Then when he went to harness the reindeer and found three of them ready to give birth he was beside himself but then he noticed two others had jumped the fence and were out on the town. Only Heaven knows where. the toy bag fell to the ground and all the toys were scattered. all over the kitchen floor so he went to get the broom before Mrs. Claus found out. But, he found the mice had eaten all the straw off the end of the broom. I love to decorate. . . but, it's difficult with dogs in the house. I spray painted some pine cones and nuts and put them in pretty glass bowls. Then I set them out around the house. The problem: Sasha didn't understand that spray paint meant "NO EATING". I came home to find chewed up pine cones littering the floor. She'd actually cracked the nuts and eaten the insides out. "Spray paint," Sasha says, "NO PROBLEM!" Not for those giant teeth of hers. But when I saw that she'd eaten the glass Christmas balls, I was worried - for a second. Sasha must be part goat. That glass didn't even hurt her at all. Still, she knew better and quickly crawled underneath the coffee table to hide. She just didn't think to hide the evidence - empty nutshells were right beside her head. Still, I decorate. But now I don't put tempting treats (like glass balls) so low to the ground. No need to tempt those teeth of hers. I pulled out some of my pretty Christmas plates and did a test run on the table - higher up. And, some of the pretty plates, I even hang on the walls - way out of reach from Sasha. Plus, I've got stockings hung by the . . . stairs with care. Well, not so much care but I still think they're pretty. How 'bout you? How do you decorate and do you have any challenges - like Sasha? And, if you want to check out more blogs, hop over here. I know we may not have Kit much longer, after all she's 17 and that's 119 in people years. But, she's still going for walks with me. And, I want to remember (especially at this time of year) the things I'm thankful for. Pets are such a blessing. I love this idea. Take an old seatbelt, add some cool fabric stripping and WAH-LAH the best ever repurposed piece of clothing you'll ever wear. Have you done anything like this? I would love to know. Share your sustainable secrets, and gift-giving ideas in the comments - please. Have you ever noticed why you love a good story? It's because you get involved in the journey the characters are taking, at least emotionally. I can't put a book down when I care about the characters and what happens to them. But, to care about the characters, we have to get to know them really well. It doesn't even matter if we love or hate the people in the stories we read. We simply have to feel so strongly about them that we can't wait to find out what's going to happen to them. As writers, that's what we have to do to make our stories come alive: make the reader love or hate (and maybe both) our characters. To do that, the characters have to be multi-dimensional. The best way to achieve that goal is to give your characters many facets to their personalities. We have to work hard, as writers, to chip and shape our characters into full-bodied individuals. Before you know it, those boring lumps will turn from mere words into brilliant diamonds. One way to work on this goal is to use a Character wheel, which is similar to a color wheel. We want to make our characters so vivid they'll stand out in the crowd. 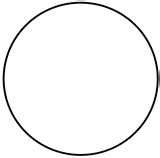 Start by drawing a circle on a piece of blank paper for each of the main characters in your manuscript. Put your character's name in the center of the page, above the blank circle or "character wheel" so you can come back and refer to your wheel time and time-again. 1) Personality: Shy, timid, selfish, sneaky, conceited, impatient, sly, determined, impatient, cheap, etc. My critique group used this worksheet to develop character wheels last Saturday during our bi-monthly session. We all worked on one writer's main characters during that session, next time we will work on another member's characters. We simply started throwing out characteristics that we thought fit the "people" we had read about during our critique sessions. It was a lot of fun and we all came away knowing the characters much better. Can you believe half of December is nearly gone? It seemed like just yesterday it was Thanksgiving. That was a wonderful holiday weekend filled with friends and family and--yes--lots of food. But that was already weeks ago. Jake looked a little grumpy when we all sat down to eat, maybe it was being woken up to eat an early dinner or maybe it was driving up to the zoo - at the break of dawn to pick us up from the turkey trot that morning - when we'd already hopped on MAX and headed home. Oops! Poor communication on my part. So, I had a "salad" my husband made me for lunch. Of course there was no lettuce in this salad, not even little itty-bitty shreds that you had to scan through the ingredients to find. There was, however, about one pound of hamburger, sour cream, cheddar cheese, guacamole, salsa and some other random tidbits. I don't want to complain because he packed my lunch for me to take to work, which was really nice--I think. I only ate about 1/4 of what he sent with me and I still have some left in the refrigerator...waiting. But, it was so full of grease, I got an upset stomach. I didn't want to tell him because this was one of very few lunches he's made for me over the years. Usually, I get up and make us breakfast, then I'm the one who packs our lunches...but this salad felt like a 23,000 calorie salad and it sat with me all week. Now, I'm wondering if just maybe he likes me chubby--after all I have been working hard to drop some extra poundage. I don't know what do you think? I take a big jug of red wine and put it on low heat adding in one container of frozen orange juice and two cans of frozen apple juice. I chop up a couple of apples, oranges and throw in a stick or two of cinnamon. You can add cloves and nuts - but I usually don't. The aroma is wonderful and the sweet taste is divine. My husband likes to drink his on the couch while reading a good book. Then I sprinkle it with salt...yes, salt and caramel are tasty together like peanut butter and jelly, or coffee and cream or...well, you get the idea. Just melt a couple cups of sugar over low heat. And then CAREFULLY add in a stick of chopped up butter. When your caramel is golden and the sugar is dissolved (175 to 180 degrees-measured with a candy thermometer-but I just eyeball it) pour it over the popcorn and mix it up with a wooden or metal spoon (don't use plastic-it will melt). YUMMMMMMMMMMMMMMMMMMMMMMMMilicious!!! This can make a perfect present with plenty of Taste. Simply put your caramel corn in a big bowl, cover it with foil and deliver it to neighbors, coworkers, friends or family for a foodtastic gift. This is an inexpensive way to "treat" your loved ones at the holidays. Don't you wish we could create our own perfect Little Men? Well here's the real secret to PMS---Perfect Men Snacking. And, these guys are always wonderfully delicious. Still, baking can take time, energy and crafting skills that some of us just don't have. But not to worry. With a few of my handy-dandy tips and tricks, I guarantee you, you'll be on your way to Homemaking Heaven. I've figured out some EZ-smeazy ways to make yummilicious goodies without all the expense of buying fancy food gadgets and gizmos galore. I've always liked playing with my food and I never really grew up so I simply used a little bit of that kid-like resourcefulness and pulled out my kid's Playdoh craft center. Yep! You heard me...um, read me, right. Playdoh Play Center. It was over the Thanksgiving weekend that I had my eating epiphany. My daughter, me and one of her friends spent a few hours eating and playing with our food. We made lots of cookies and ate more than we should. But, sugar cookies are always fun at Christmas. . .right? It's not like I don't have any tools for cutting and cooking "special" occasion cookies and cakes but they are EXPENSIVE and I only have a few. So instead of running out and buying more of those things, we simply used our old playdoh tools (of course I washed them really well first), utensils and cutters to make fancy shapes and strange little tidbits. It was like being a kid again. We squeezed and squished out our aggressions and even shaped some strange cookies for our eating-time pleasure. It was a lot of fun and OH-SO foodtastic! And, if you look close, I bet you'll see the ice cream container on the side. Sugar Cookies and Ice Cream...what could be better? So, don't just play with your food, eat it too ;) And, if you want to look for some more great blogs, hop over here. No wonder I need to run! I love decorating for the holidays - all of them - but I don't have a lot of money to blow in my budget. So, I look for simple ways to decorate without spending much (or any) money. This is one way to make centerpieces without spending any money at all. I walk around the neighborhood picking up pinecones and interesting pods and pieces that I can spraypaint. Then I arrange them in a clear bowl with some beads and ornaments I have laying around the house. It's so pretty, simple and (best of all) it doesn't cost a penny. I love stockings filled with candy and fruit. Nowadays we add little nick-knacks and goodies galore. I've made lots of them over the years. This is the one I made for Lars our first year together - because in the Danish tradition - he never had one. Then when we had our first child, I wanted something for him. I always loved Mary Engelbriet's patterns, "sew" I made a stocking for Jacob. I took each of the kids to the fabric store and let them pick out fabric to make pillow cases for each other. And, Luke always loved animals 'sew' this is the fabric Jake picked for his brother and I decided to make a stocking too - since there was left over material. It was my Mom who taught me to make stockings (and she never used a pattern-sew way should I?). It was a year (and there were probably lots of them) when she didn't have much money to buy presents (9 kids-no surprise they didn't have much money to spend on gifts) 'sew' she decided to make them. She pulled out the felt, and sequins and started sewing. She was up until three in the morning putting little handcrafted cutouts on the socks. If you look close you'll see the blue jingle bell hanging on the toe. I still have that stocking she made for me, more than forty years ago. And I hang it up every year (using a little more of that care than with these newby socks that I've made). I didn't always find much inside that stocking, sometimes only a piece of fruit and hard candy (but there was always a candy cane). By today's standards, our Christmas presents were meager but I've always loved that stocking and especially the memories it brings back every year. Just layer granola and lowfat yogurt like a parfait into a clear bowl - set it on a cake stand and Whoo-Hoo fancy food and low calorie too! It tastes so much better when it's pretty. I served peach yogurt. My husband likes his yogurt plain, but not me--I'm a fancy food fiend. Plus, I could have pulled out my pastry bags to pipe the yogurt into the bowl but I just used a ziploc baggy and cut off the tip - EZ, cheap, and food fast. This is a fun way to serve food on a weekend when you have guests - like during the holidays. I had this on Thanksgiving weekend. Plus, I'm lucky to have a couple holly trees in my yard and a cedar too. So all it takes is a walk around the house, to gather the goods for my centerpiece. But you could gather other items and probably come up with something more creative than me. Just take a walk around your house and see what you come up with. Okay maybe they look more like ghosts than snowmen but it was my first attempt - so at least I have a fancy food idea for next Halloween. All it takes is three egg whites and 1 and 1/2 cups of sugar. You heat the sugar and egg whites over low heat until the sugar dissolves. And then you whip it until it forms little peaks (about 3-5 minutes). 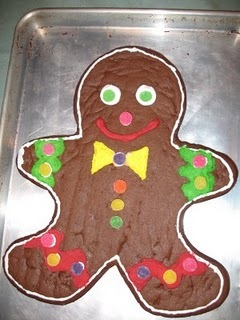 Then you plop dollops onto a parchment paper covered cookie sheet. And bake at 175 for one hour and thirty minutes. WAH-LAH! Little snowmen you can stack together and decorate with cranraisins - if you want red little ghosty eyes, or chocolate chips if you want snowmen. I also added a little almond extract to my mixture - for some added flavoring, but you could add lemon, orange or peppermint-whatever suits you. If you want to find more fun reading, hop over here. Just starting to load up the calendars with the 24 days of Christmas...presents!